And I thought I was special … turns out quite a few of us suffer from tight Peroneus Longus. The PLs are not bothering me very much lately. Stretching helps a lot. I have added a few stretches that really worked for me. It took 2 weeks of going easy on the runs, massage and a lot of stretching to manage this problem. Read on for the some medical stuff and things I tried to work on my pesky PRs. 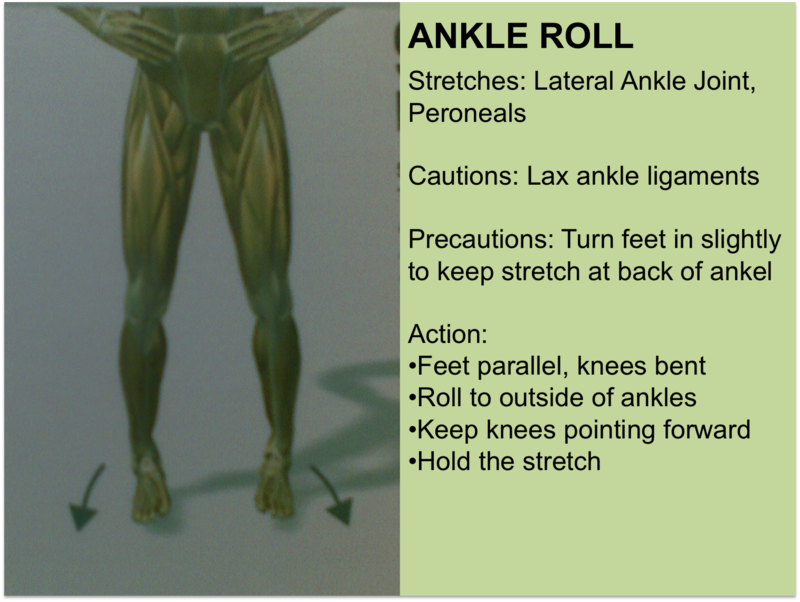 The peroneal muscles run down the outside of the lower leg and are often neglected in a stretching routine. Pain and swellilng on the outside of the ankle or heel. Pain is worse during activity and gets better with rest. Pain when pressing in on the peroneal tendons. Pain when the foot is passively inverted (stretching the peroneal muscles) and with resisted eversion. Calf muscles may be tight. Running along slopes causing excessive eversion (rolling out) of the foot. Overuse, particularly in dancers or basketball players. Overpronation of the foot or excess eversion of the foot. Today’s 5K was frustrating. I couldn’t keep a consistent leg turnover. My right leg keeps on getting stuck and wouldn’t naturally kick up. Pain! After a stilted 2ks, I settled to a jog and observed what was wrong. My right ankle was woobly. I had a dull pain on my outer leg. My calves were tight. When my right foot lands, the natural turnover rhythm was off because of the tightness on my outer leg and calf muscles. After I was able to identify the pain, I felt better. I knew what I was going to do. Consult TheWall! TheWall is in the stretching area of the gym and has a detailed poster of the muscular system. When I got to the gym I consulted TheWall. I couldn’t find the little muscle that was very tight on the outer side of my leg. After a little surfing, I now know where my peroneus longus is and how to stretch it properly. It’s not as tight now. Yey! Thanks to MTD and K for walking with me! Attended hot flow yoga this afternoon. Ah blessed release. Maybe I really just needed to stretch out more. I’m adding a couple of stretches that I have been doing to loosen up my PLs. Sorry for the blurred images, I snapped the pix with celfon cam only. Even while I am sitting, I do the ankle roll specially after a run and the PRs are very tight. I alternate it also with ankle rotations. After a run, this is now my favorite stretch. Stretches the hams too! Don’t forget to exhale as you stretch. Update: 6 Oct 2009. Have increased mileage again and as expected they have started acting up and tightness and pain even extended to the thighs. No strain just pain. Had deep tissue massage yesterday and it was painful but gave so much release and relief after. The PLs were tight and had a lot of tension knots. CoachS just attacked the tension knots and watched me squirm. I didn’t cry. But I might need a stiff drink when I go back next week for my next session. I do self massage but you need another person to attack all the tension knots. Update : 08 June 2011. Hey click here to check out my new post about my favorite peroneous longus stretch. I do it after every run. I liked the stretches, but the people doing them are creeping me out. They look like human cadavers. Maybe if you were to lighten the photos up and add some more color to them it would look better. Thanks so much for the stretching tips. I have had the same problems and hope this will work. Thanks for the info, I’ve been off for awhile, 1yr with an illness, now I’m looking at doing the Moab half in March and I’ve recently been plagued with pain in the Peroneus. Stops me cold after about 20 minutes. I’m going to try your recommended stretches, thanks for the information. for your peroneus … if you have access to someone who can give you deep tissue massage (truly a painfest) then go and have it also. good luck on Half in March Kerry! I hope you get good running temp on that day. Hey, thanks! I’ve been trying to deal with ankle pain, thought it might be peroneal in origin, and found this page through Google. Your stretches confirmed that that’s what it was and have started to clear it right up! Thanks for the stretching tips. I’ve been battling this pain for a few years now and it’s so frustrating! I’ve been to therapy massage which feels great to loosen the muscles but doesn’t help the problem go away. I’ve been to get special orthotics to keep my feet from rolling out when I walk, the chiropractor, and anything else I can think of and nothing helps except for not walking and I don’t want to stop that! I am hoping these stretches will help me. I ran a 15 K XC on Oct 20th, at the 7th mile I started limping a bit and by the 8th I was one-legged hoping to the finish line… They had a massage therapy school there doing free stuff and the instructed said it was the PL. I was on crutches for 3 days and a steroid pack for 6. It has been almost 2.5 weeks and I am still limping around… I have another XC race on 11/23, dont think I am going to be able to run by then. Your stretches and good humor are helping so is the swimming pool. Thanks for your website and if you know of a good method for using the kinesio tape for this type of injury please update me! Thanks! sorry. but i havent used taping yet for this problem. Not exactly sure… Is the insertion of fibula on the outer side of the foot? I get sharp pain on the inside of foot but I’ve attributed it to weak ankles – twisted it badly a couple of times. Thank you so much for the streches! A couple of months ago my right Peroneus Longus hurt like crazy at it affected my track season, now starting up for cross country my left one has started to hurt! Hopefully the streches will help. >>goodluck on the xc season. Try the newest stretch i posted. Working wonders for me. And get plenty of massage, you gotta unknot your taut bands. Thank you so much! This is the pain that is killing my attempts to get fit! I tried the C25K program and had to stop due to this problem and had no idea what it was. Walk fast or run this pain kills everytime. I also get a knot on the side. I think this is caused by my ankles pronating out but can’t get new shoes right now. In the meantime I will try the stretches. THANKS AGAIN! Rolling pin :o) runner who cant bake, massage! Hehe good one! Glad to be of help! Good luck on Week3 , im back at week2 myself and enjoying the challenge. 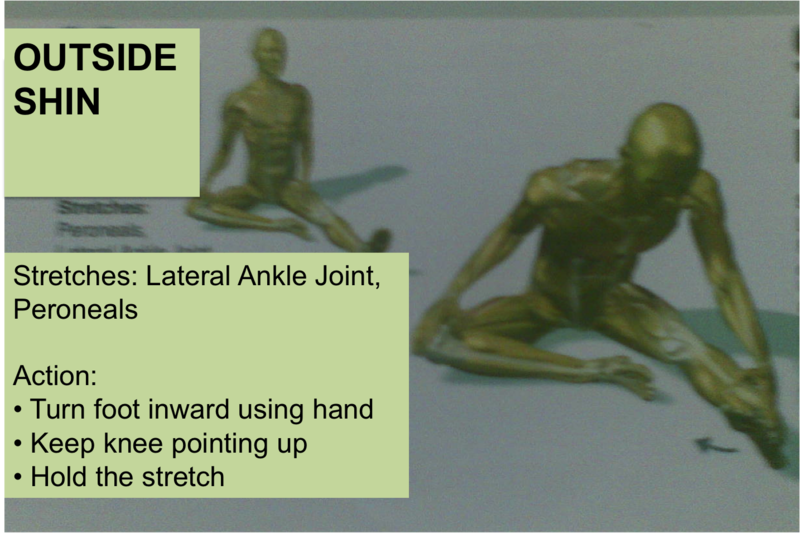 Pls chk out this stretches too. https://bananarunning.wordpress.com/2011/06/08/pl-stretch/ please dropby again if this one helped too. It worked on me and Im curious if it all also helped fellow runners bothered by their PLs. This explains so much of what’s been going on with my left leg! I’m holding on to these stretches. Thank you! Hope it helps. Oh and I love your blog. :o) cant do a haiku yet. But i have lotsa long runs to come, i hope to come up with one sometime. Have had this problem almost my whole life. Sprained both of my ankles many times playing soccer and basketball, and thought this was a problem that I would have deal with forever. Have been trying the stretches…thanks!! Hope they work for you! Keep stretching. Massage, intense and frequent, will also help. Are you sure you’re not dealing with a chronic compartment syndrome? I’ve had this problem for awhile now myself, thanks for the Help! One day I took a Vitamin C pill before going out on a long walk. I did not stretch at all and I noticed that day I didnt cramp up and wondered if it was the Vitamin C? I have tried it again and it worked pretty good, I wonder if anyone else has tried this Remedy? This is new. I eat bananas for potassium coz it keeps you from cramping but never thought vitC would have same effect. But hey if it works and keeps you running, why not eh. Happy running! Some excellent tips on this page. I’ve been training hard recently (60+ miles a week) and started with what I thought was ITBS affecting my right knee. After a few days rest and then running again, I could feel the first twinge at the bottom of my knee. Some massaging, stretching and ball rolling on the PL seems to be making a big difference. Keep on stretching. Strengthen your ankles as well.